South Florida Rentals are Going Sky High | The Law Office of Emil Fleysher, P.A. South Florida Rentals are Going Sky High | The Law Office of Emil Fleysher, P.A. South Florida is within the top 3 regions in the country whose rent is getting higher than the national average. South Floridians are feeling the pain when it comes time to pay their landlords. Rent is taking a larger sum out of their paychecks than nearly anywhere else in the country, and there is no sign of relief in sight. It takes 44 percent of your earnings, typically, to pay rent in South Florida. This is 14 percent more than the average throughout the country stated Zillow.com. San Francisco and South Florida are tied third in the nation for highest rent. Sarasota comes in second please with 47 percent and Los Angeles comes in first with 48 percent. Even though renting is growing all across the country, the rapid increases in South Florida have begun to sting. A decade ago South Floridians paid about 34 percent of their income to rent, the average nationally is about 26 percent according to Zillow.com. 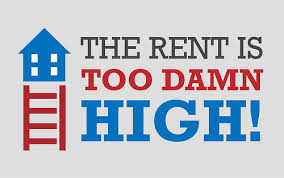 The hardship of renting has grown 29 percent since then; however, the national average is closer to 15 percent. Zillow is a home listing service that records data from home sales and rental listings. Adding insult to injury, the real estate market is just going up, up, up. $250,000 or below is considered an entry-level single family home, but there are less than 33 percent homes with this description in Broward County and less than 25 percent in Palm Beach County. But unfortunately with the prices of rentals getting higher and higher, new buyers are finding it harder and harder to save even for a down payment. However, even homeowners are feeling the pain with the property insurance sky rocketing. Some even speculate that homeowners are in a worse position than renters.